This blog just passed 2 million hits since I started back in the dim and distant Internet past of 2007 with How much money will my software make (and what has that got to do with aliens)?. Wow. 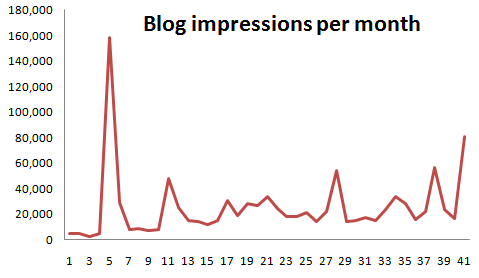 This entry was posted in blogging, marketing, software on 1 August 2014 by Andy Brice.